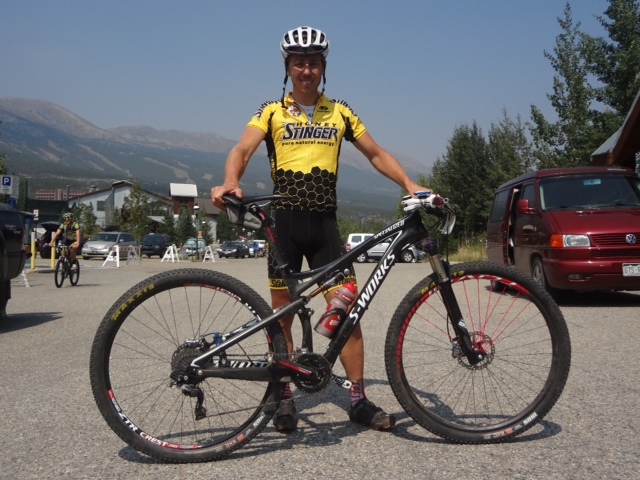 Calle Friberg, winner of Stage 2 at the Breck Epic, and numerous other races this season, posing in Breckenridge. Calle Friberg, easily one of the most affable riders out there, with a palmares that includes multiple Swedish National Championships, in multiple disciplines, and years of World Cup Experience, now has he’s sights on Marathon World Champs. Honey Stinger is proud to fuel Calle in all his racing. It´ll be super tough competition on a rough and hilly course in Ornans in France. I did the Marathon World Cup there in 2008 and it´s a very demanding course. Not super long climbs but up and down all the time and as it looks now, quite rough and slippery too. This entry was posted in Hive News and tagged Calle Friberg, Marathon World Champs, Organic Gels. Bookmark the permalink.